The history of the EU Energy Union began in March 2010 during the speech of the former European Commission President Jacques Delors. The European official said that in such an important field as energy, there is no unity of the European countries, national leaders conduct their affairs with Putin alone and it leads to conflicts of interest within the EU. But the catalyst for creation of the Energy Union was the gas conflict between Russia and Ukraine in January 2009 which led to the suspension for a time of hydrocarbon supplies to Europe through Ukraine. European politicians were shocked by the behavior of the Kremlin and resorted to rethink the reliability of energy supplies from Russia, but the acute phase of the crisis has passed and the creation of the Union was postponed indefinitely. Resuscitation of the Energy Union idea happened in 2014 as a reaction to the Russian-Ukrainian conflict. During the year, energy security had vital meaning for EU in the light of military conflict in the East of Ukraine, the annexation of the Crimea, suspension of Russian gas supplies to Ukraine and threat of stable transit in winter 2014/2015. The concept of EU Energy UnionThe most radical and progressive concept the Energy Union was proposed by D. Tusk in April 2014. It was about the unified European body which would be responsible for purchasing gas for the EU member states, as well as standardization of contracts for the supply of energy between EU member states and the third countries. According to the Polish politician, the mechanism of collective purchases of gas would strengthen the negotiating position of the European Commission in its relations with Russia and change the rules in the market in favor of importers. 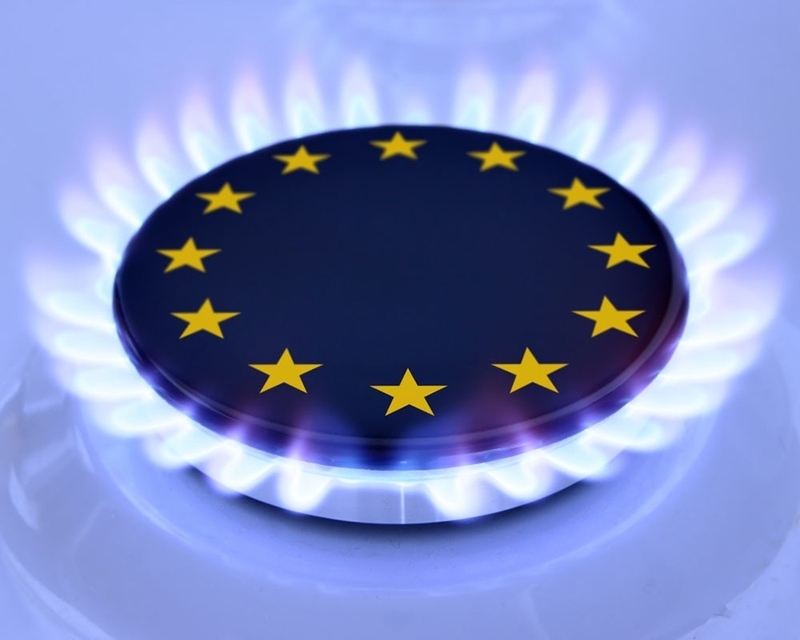 This would improve conditions for the supply of natural gas, increase protection of final consumers of energy - EU citizens and possibly would lead to further reduction of price. In addition, the Energy Union, according to D. Tusk, was to focus on the following objectives: to provide a mechanism of solidarity of the member states in the event of disruption of energy supplies; increase number of network gas interconnectors for supply diversification; ensure increase in domestic energy production; attract new suppliers of gas, including liquefied gas, such as the US and Australia, and ensure extension of the Energy Community created in 2005 to implement the EU rules and regulations in newly admitted countries, including Ukraine. Energy security, solidarity and trust. This paragraph is based on the Energy Security Strategy, adopted in May 2014, key aspects of which are transparency of gas import regime, implementation of the project of the Southern Gas Corridor and access to resources of the Caspian Sea, as well as the use of liquefied natural gas, development of "hub" network and voluntary contractual relations between neighboring EU member states for coordination of interaction in crisis situations.unified energy market. The development of cross-border interconnectors between the EU countries and compliance/implementation/improvement of existing legislation.Energy efficiency. Proposal of complex of measures aimed at reducing of demand for energy and increasing of energy efficiency till 2030 by 27%.De-carbonization of economy. Reduction of greenhouse gas emissions till 2030 by 40% as compared to 1990.Innovation and research. Conduction of comprehensive research in such priority areas as intelligent networks, intelligent home, clean transportation, clean fuels and safe nuclear power.In 2014 after the election to the European Parliament new Commission was headed by the former Prime Minister of Luxembourg Jean-Claude Juncker, who called creation of the energy Union the priority goal of his presidency. For this purpose a new position of Vice President of the European Commission in charge of Energy Union was proposed and taken by an experienced Slovakian diplomat Maros Shevchovich. However, today the project "EU Energy Union" is at the stage of debating and formation of the legal framework, but the process is not moving rapidly and preliminary announcement of finalizing the project by the end of 2017 is under question. In fact, there is a cognitive dissonance between the Western and the Eastern Europe on the goal of creating a new energy project. One of the main problems is the lack of investment in gas infrastructure of the EU. To solve the problem in 2011 the European Commission proposed the so-called energy infrastructure package, which later was named a Project of common interest. As a result, the Commission received a mandate to co-finance energy infrastructure projects under the European mechanism of interaction (Connecting Europe Facility, CEF). The total budget for the CEF till 2020 makes € 5,85 billion while to deal with all the infrastructural problems in the gas market in Europe about € 70 billion is required. In 2014 the European Commission has selected 27 gas projects to be funded through the CEF mechanisms, and in November of that year the first tranche of € 647 million was allocated for the mentioned projects, and later in 2015 another € 650 million were provided. The Commission also seeks to tighten control over the contracts between the member states and the gas supplier, which has a market share of a certain state of more than 40%. First of all we are talking about an agreement between the countries of Central and Eastern Europe and Russia's Gazprom. Thus, the Commission could become a third party in the negotiations, essentially acting as a mediator prior to the signing of such agreements to prevent pressure from suppliers and to make intergovernmental agreements more transparent. The proposal provoked strong debate at the European Council in March 2015. The fiercest opponents of the initiative were the Western European countries (Germany, Austria, France) and even some members of the Visegrad Group (Hungary, Czech Republic) who are not yet ready to share confidential business information and are afraid to break the privileged relations between importer and supplier. This demonstrates once again how difficult it is to develop one-voice energy policy within EU borders. UkraineCurrently Ukraine plunged into the internal political problems, one political scandal alters another, managerial potential is used for redistribution of the energy market, rather than its reform. The implementation of the Third Energy Package, as well as the energy sector reform frankly stalled - the gas market has not been created, a law on electricity market is debated for more than a year, there is still no clear concept of energy monopoly Naftogaz unbundling, no strategic vision of the sector in the short and long term perspective. During 2014-2016 Ukraine has badly executed "homework" on implementing reforms and continues to maintain a high level of national energy oligarchy, as it has been repeatedly underlined by the European politicians. It is sad to admit, but today our country has only a few "success stories" in the sector reform and creation of energy market. Moreover, the Ukrainian government focuses on domestic energy policy, but changing of the architecture of the European/global energy market is ignored by the officials, while these changes take revolutionary character. In Europe, a brand new model of energy market is arising and new instruments of energy policy and diplomacy are being created. Today the European countries openly lead a competitive struggle for creation of the gas "hubs", implementation of alternative projects on gas supplies to the Central and Eastern Europe, for example implementation of initiated by Poland "North Gate" project, i.e. the supply of Norwegian gas to the Polish border. In case of creating of the Eastern European gas hub, the Ukrainian underground gas storage (UGS) with a total volume of about 26 billion m3 in the Western Ukraine will have a great importance. Conducted in 2014 stress tests of European gas-transportation system, showed that a continuous supply can be ensured only subject to the use of UGS. Eastern European countries have a shortage of storage so the Ukrainian underground storage facilities are of great interest for the European businesses. But the cornerstone of joint projects on the use of the Ukrainian underground gas storage is a dissonance on the legal and economic level between Ukraine and the EU. So far in this area Kyiv and Brussels are speaking different languages.